Barbara J. Fields is a professor of history at Columbia University. She specializes in southern history and 19th-century social history. 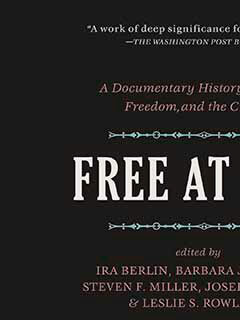 She is a co-editor (with Ira Berlin, Steven F. Miller, Joseph P. Reidy, and Leslie S. Rowland) of Free at Last: A Documentary History of Slavery, Freedom, and the Civil War (The New Press).